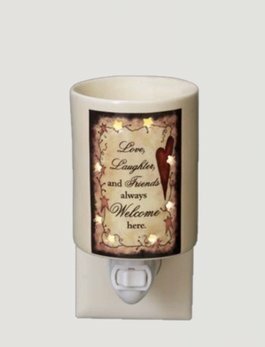 Here's a Tart Warmer you're going to love, Love, Laughter & Friends! This warmer takes up no counter space and can go anywhere that you have an electrical outlet. Measures 4" x 3".